On Friday, Rep. Martha McSally (R-Raytheon) attended an invitation-only event hosted by the Missile Defense Advocacy Alliance aka the “military-industrial-congressional complex,” at Raytheon, her former employer, along with Neocon war monger Sen. John McCain. U.S. Sen. John McCain, fresh off announcing he will run for re-election in 2016, drew promises of support at a meeting of southern Arizona defense hawks Friday, as he praised the state’s missile-defense industry and criticized the Obama administration’s emerging deal with Iran. McCain was joined by U.S. Rep. Martha McSally, the Tucson freshman and retired A-10 pilot who was the first female airman to fly in combat. The Republicans said companies such as Raytheon Missile Systems in southern Arizona protect Americans from threats abroad, including North Korea, Iran, Russia and non-state actors. They spoke to a meeting of the Missile Defense Advocacy Alliance in Tucson. McCain said the end of the Cold War was hastened by America’s development of weapons capable of downing enemy missiles. The need for such defenses continues, he said. McCain criticized the Obama administration’s negotiations with Iran, calling the tentative deal appeasement. Sen. John McCain has a long and ignoble history of being a Neocon war monger. There is no war or rumor of war for which Senator McCain’s first response is a rush to war. He is more than happy to sacrifice the lives of your sons and daughters upon the altar of his Neocon dreams of a Pax Americana Empire, and to enrich the war profiteers of the military-industrial-congressional complex. Sen. McCain sees every rejection of his militaristic calls for war as “appeasement.” Anyone who disagrees with his alleged foreign policy expertise is branded the next Neville Chamberlain. “I know my friends …” But John McCain doesn’t know squat. 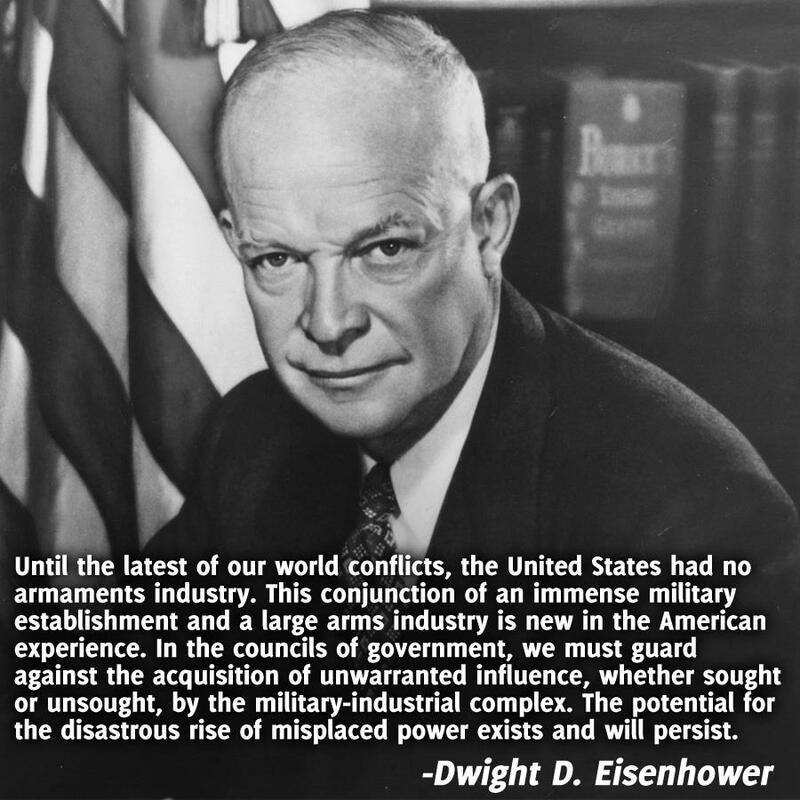 From President Eisenhower’s “The Chance for Peace” Address (April 16, 1053). Never has one man been so wrong about so many subjects for so long as John McCain. He is an “expert” (sic) only in his own mind, and the fawning Beltway media villagers who force this fool upon the American public almost every Sunday morning. The Media and John McCain: How Someone Always Wrong Is Always on TV. Arizonans should be ashamed for electing him. 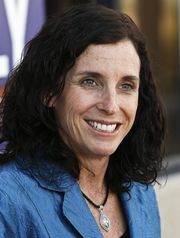 Rep. Martha McSally was endorsed and supported by Sen. McCain. “McSally’s appearance with McCain, a fellow military officer, underscored the crucial support she has received from the senior senator.” She has now endorsed Sen. McCain’s Neocon war as a first resort stance and his shameful claim of “appeasement” by the president, over statesmanship and diplomacy to settle international disputes first, and to turn to war only as a last resort. So once again, Rep. McSally, your constituents are entitled to answers to the questions that I have previously posed to you without the courtesy of a response. Questions for Martha McSally on Iran negotiations, and war. Your stance during the 2014 campaign that you did not have to answer such questions because you were not a member of Congress and did not want to give a hypothetical response no longer applies. 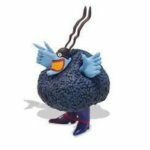 You can no longer run and hide. There may or may not be a final agreement reached this June on the P5+1 powers and Iran nuclear ‘framework’, but this is not a hypothetical issue. You are either for a negotiated settlement that avoids war or, like Sen. John McCain, you are for a war with Iran and to hell with diplomacy. Your constituents demand your answer. FYI, Barber received tons of money from Raytheon in ’14. When you run a wishy-washy sellout Democrat against a dyed-in-the-world conservative, people will prefer the latter to the former. I’m surprised he didn’t lose by a bigger margin. I’m disheartened to hear that he’s going to run again in ’16. I hope that a genuine progressive can best Barber in a primary AND win against McSally, but I won’t get my hopes up. This is CD-2 after all.